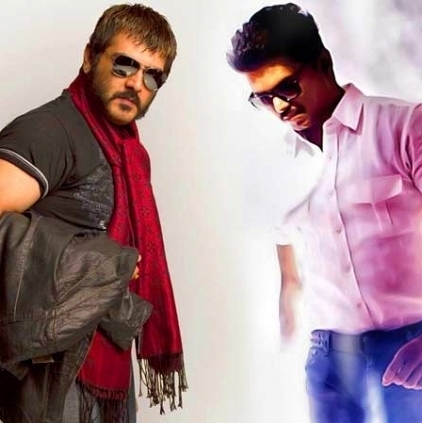 NO MORE VIJAY VS AJITH? State’s complete attention is on the flood relief campaign with every single soul uniting to bring back the city back on its foot. When online social media is in full swing coordinating the needs and necessities of the general public, there has been an appreciable gesture by a few troll Social Media pages. Whenever you go on the net, one thing you can surely bump into is the trolling of actors, especially Vijay and Ajith. Exclusive pages dedicated to the trolling of the actors have come to a standstill realizing what the nation needs more than mere fun and entertainment gained out of such demeaning posts. So one of the very famous Troll pages have declared that they will no longer spend time with trolling actors, but instead will concentrate on the politicians and the media from the North because of the current shift in happenings. Another famous troll page has also decided to go with the trend and forever stop trolling actors. With the much talked about fan rivalry finding an end has actually sent a lot of optimism among the users. Considering the psychological budge the city is experiencing, it is more than welcoming to see this ideal change among youth. Bobby goes back to Vatti Raja! People looking for online information on Trolling, Vijay vs Ajith will find this news story useful.